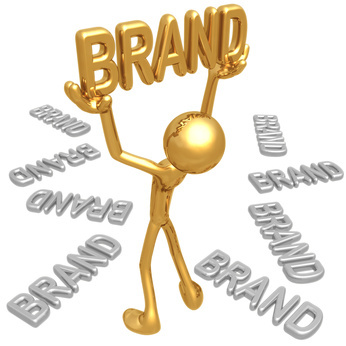 TLA » Brand Evaluation: Would You Invest in You? In business, a brand is like a baby: Yours is never ugly. No matter what shape your brand is in, you put your blood, sweat, and tears into building it and, despite whatever shortcomings it may have, you’re proud of it. As you should be. Still, it can be helpful to take a step back and try to evaluate the results of your branding efforts from an objective standpoint. There are a number of ways to do it, but I’ve found one in particular that can be very revealing. I need to warn you in advance, though—it may sting a bit. It requires you to set aside your biases and evaluate your brand through the cold, hard lens of an independent investment analyst. It’s true that the financial sector has received a lot of criticism of late, in many ways deserved. Think about it—it’s an analyst’s job to pass judgment on which corporations’ stock investors should buy, sell, or hold, yet no analyst can ever know more about individual companies than those who are immersed in their operations day after day and year after year. No one knows more about my company and its prospects, for example, than I do, yet even I can’t predict where we’ll be in six months or two years. That said, analysts do tend to concentrate on broad industry sectors, providing them a unique perch from which to view the goings-on therein, and their training and experience enable them to recognize patterns within companies and across industries that highly focused management teams may miss. Plus, they don’t have a dog in the hunt; all they’re trying to do is pick the winners and losers based on the available information. There are a handful of crucial questions an analyst might ask to determine whether a company represents a good investment. Imagine for a moment that you are that analyst, and it’s your job to critically examine your company (or in this case your brand) and subsequently make a buy, sell, or hold recommendation. Answer the seven questions below on a scale from one (awful) to 10 (excellent) as objectively as you can. As you do, keep in mind that it’s a rare brand that excels in every area, and if one does, an intensely competitive business landscape will ensure that it s advantages won’t last. 1. Is the brand in a growing sector? This is a measure of your industry as much as it is of your brand. Is it growing? Are economic, demographic, or cultural trends working in its favor, or are you witnessing steadily shrinking demand? Is this industry going to be healthy and growing—or for that matter even around—in two, five, or 10 years? 3. Does the brand have a dominant competitive position? Your industry may be growing, your share may be growing, but has your brand achieved a position of dominance? This doesn’t have to mean global dominance; if you serve a well-defined geography, for example, it may be enough that you’re dominant within it, even if there are bigger competitors across town, across the country, or across the world. If they can’t horn in on your customers, they may not be relevant. 4. Is the brand clearly differentiated? When prospects compare you to the competition, do clear differences arise or are you basically cut from the same cloth? This factor affects all of the other factors, which is why it’s so critical. One of my favorite pieces of marketing advice is, “Don’t be better. Be different.” If the people with whom you do business can’t clearly articulate your brand’s point of differentiation, an analyst certainly won’t be able to. 5. Are there high barriers to entry for competitors? The airline industry has extremely high barriers to entry; it takes a lot of money—to say nothing of the regulatory hurdles—to get a new airline off the ground (pun intended). But it costs very little to launch a catering business or consulting firm. True, depending on the specialty, the expertise required to launch either of the latter two could be considered a barrier to entry, but an objective analyst would ask some pretty tough questions about how high that barrier really is. 6. Does the brand generate outstanding margins? There are two ways to answer this question: in absolute terms and relative to your industry competitors. Margins, of course, don’t grow in a vacuum; if you’re clearly differentiated and operating in a thriving industry with high barriers to entry, you’re more likely to be able to maintain healthy margins than if you’re slugging it out in a commoditized, shrinking sector. 7. Is the brand creating strong cash flow? There’s a lot of pressure on public companies to fund shareholder dividends. Just because your company isn’t public doesn’t mean you shouldn’t feel the same pressure. Your investors (that would be you—and any others who have staked their hard-earned capital on you) deserve a regular dividend. That is, unless you choose to reinvest most or all of your profits in growing your brand. But you should be in a position where the option is yours. Seven questions. Simple to ask; a bit more difficult to answer objectively. If your brand scores well on all seven, congratulations—you’ve got yourself a great investment. If not, don’t despair, because at least you now have an idea of where you should focus your efforts. But don’t hesitate to get moving. Even if you have no intention to ever take your company public, the better your brand performs as an investment, the better off you—and everybody connected with it—will be.